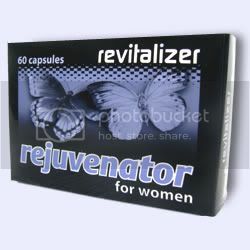 Revitalizer for Men and Women, as well as the Rejuvenator for Women. For more information on the above products, please visit Making Babies or see THIS POST. 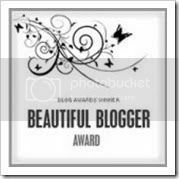 Leave a comment on this post, (adding your email address). Receive another 2x entries if you purchase any products on the Making Babies Website for the month of October. ** Please note this competition is only valid for those residing in South Africa. So what could I possibly entertain you with on the Making Babies 300th Blog entry??? Shui help you in your fertility quest? just equal a baby in your future! when trying to conceive and while pregnant. any sign of ill health immediately discard the stalk and replace them. area (the right center area) of your bedroom. worth that little bit of trouble for that lifetime of joy. We already have a leader in the Making Babies September Referral Program (wow that's a mouth full)... I'm not going to say who is leading the pack as of yet... ;-) But if you want to know what it's all about click here. 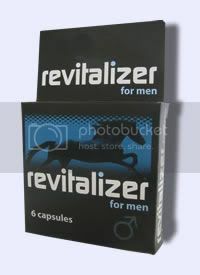 When taken as directed Revitalizer for men restores the natural male balance and leads to refreshed energy, drive and stamina. The unique blend of natural herbal extracts contained in Rejuvenator restores blood flow and heightens sensation by activating the body’s natural hormone production and supplying the body with nutrients necessary for peak sexual performance. For all those who are going through TTC and wondering if you will ever get over the addiction….hahahahah….. if I can do it, you can too. It’s been one full cycle since I’ve stopped TTC. One full cycle without temping, without POAS, without feeling my bbs up. LOL. Granted my reasons for stopping TTC was drastic enough that I had to give up the addiction immediately. Cold turkey so to say. I really thought it would take a while to let go of the technicalities of TTC. Of course the emotional side still needs time to heal. That isn’t going to go away within one cycle. I’m still finding it weird chatting on an active TTC forum. Although it’s not that hard, because I’m there to give support and not take any. I still love talking about TTC. I don’t get sad for myself when I do either. I made so many friends while TTC that I couldn’t just give up on them when I stopped. I was chatting to a good friend last night about the fact that most couples don’t want to disclose their TTC status. She and her husband don’t want to discuss their fertility issues with family and friends. So they chose to keep to themselves. Granted she is part of a TTC forum, but under a nick name. Privacy is “guaranteed”. Being a moderator on the mommy forum, I’m continuously watching the forum for posts and all that jazz. At the same time I’m taking notes of who is visiting which boards. I have noticed so many users enter the TTC board, yet never post. (Actually never post at all on the entire forum). So I suppose they are just reading the TTC forum. Which I think is great; because I’m sure they are finding their own means of support by just being there. I have always loved being a part of an online forum. A lot of my “in real life” friends can’t quite understand my need to be a part of this crowd. Some times I will find them looking at me strangely if I’m referring to an online friend as if I know this person personally and just met them for a lunch date today. I love my cyber world. I love my friends that live in my computer. You can’t always talk about your issues with a family member or a friend. Some times it is just so much easier to jump on line and post a question. You will be surprised by how much support is out there. Strangers turn into friends almost over night. Friends turn into sisters within weeks. I love it! Do you want to be a part of a support group? You don’t have to disclose your real name. Join our Making Babies Network. On the sign up form, put in Sugar Puffin instead of Judy Le Roux. It’s ok. Start chatting with others that know what it’s like to go through month after month of BFN’s. The frustration, the excitement. TTC is not all doom and gloom. There is a brighter side to it, and having a friend who understands makes it all the worth while. Making Babies is launching an exciting Referral Program, where you stand the chance to win a “Fertility Hamper” consisting of Home Pregnancy Tests, Ovulation Kits and Supplements. The member with the most points on 30 September 2009 will win the Fertility Hamper. The Making Babies Network is a free service offering useful information and support to people on their TTC journey. We are not looking to simply increase the “head count”, but rather add members who will benefit from this support group. For this reason your referrals should be based on couples that are actively TTC. When your referred person signs up with Making Babies, they will be asked to fill in the name of the Making Babies member who referred them. So please make sure the person uses your registered Making Babies Member name. Only processed Orders will qualify for point allocation. Make sure the person you are referring enters your name on the ORDER FORM on the Making Babies website, under special instructions. I trust you are all well and hard at work trying to make those babies! I just wanted remind you again about the Baking Maybe's eBook that is available. You can purchase the book via the Making Babies website either by Credit Card or direct deposit. I thought the book was written so well & with some great humour too! It's not expensive at all & money well spent. The book covers every woman's emotions during the ttc rollercoaster. Every word in the book I can relate to, it makes you realize that all the emotions are normal & that you are not alone during our TTC-journey. I'm half way trough your book and enjoying it so much! I just wanted to let you know that we tried out the Conceive Plus Lubrication, and I must say that I was very impressed with the product. It's super easy to use (just like 'normal lubrication) and makes bding so much more fun as you don't dry up! I have noticed that the drying up is a side effect of the clomid, and CP is just wonderful for that! It is also nice to know that whilst making bding a more enjoyable experience, cp also assists in carrying the 'swimmers' to their destination! Thanks for the wonderful product! A false positive pregnancy test is when the test says that you are pregnant but actually you are not. False positive pregnancy tests are rare - though there are instances and conditions where they can occur. I have had very few clients report a false positive. Probably the most heartbreaking thing to happen while you are TTC. You yearn for that second line, to get it and then have all your baby dreams come crashing down because of it being a false positive. Most false positives are due to those nasty evap lines that some (if not all tests get). What is an EVAP line? from mouse cells) in the Control and Test section. The Control line binds with any liquid and turns pink (or blue, in tests using blue dye.) The Test line turns pink only if the pregnancy hormone is detected. If not, the moisture passes over this strip and does not turn pink. It may, however, become more visible when the light hits the moisture on the strip-- it may appear gray, colorless, like a "dent" in the test, or like a "ghost line." It may appear at any time-- as soon as the urine hits it, after a few minutes as the test absorbs the moisture, or after the 10-minute time limit. It may appear when the test is drying, or after it has dried. It may disappear as the test is drying, or after the test has dried, or not disappear at all. it's simply the antibodies on the test that would turn pink in the presence of hCG.When the test becomes wet, or as it dries, or after it dries, the antibody strip may become more visible. Therefore, all tests may have them. It is not a defect, it's just how tests are made. A chemical pregnancy is basically an early miscarriage. The fertilized egg does not implant successfully into your uterus. These days HPTs have a high sensitivity to hCG, picking up the smallest amount. You might get a faint positive only to have AF arriving a day or two later. If you are under going fertility treatment which includes the trigger shot for ovulation, you are advised not to test too early in case of getting a false positive. Since these drugs have the hCG hormone in them, and will show "positive" on a test. It takes on average about 10 days after the shot to "work out" of your system. So try holding out on testing until at least 11/12dpo. During my 3 year journey of TTC, I think I had about 3 of these "false positives". 1 of which I was convinced it was a chemical pregnancy. The other 2 I'm sure were due to evap lines showing up after the time limit.